Unfortunately, however, companies that have found success in the past tend to be reluctant to make changes to their business models. Their fear—whether it’s of “breaking something” or of the unknown—can be a company’s undoing, as success favors the innovative. A growing number of companies are realizing the importance of digital transformation in their strategy for success. According to a survey of IT decision-makers by IDG, 37 percent of respondents have begun integrating and executing a digital-first approach and 7 percent consider themselves an enterprise-wide digital business. About half (45 percent) of respondents have begun the journey to becoming a digital business. What’s more, of those companies that have adopted a digital-first approach, 32 percent of respondents said digital business has already helped increase their company’s revenues. The bar continues to move for digital transformation: What started as digital initiatives with social, mobile, analytics and cloud has given way to a digital transformation journey where digital-first thinking has become a business imperative, and new technologies are driving new opportunities. Digital transformation is imperative for survival in today’s economy. Yet, it is not the same for every company; each has different reasons for transforming, and each incorporates different technologies, different processes and different mindsets to achieve digital transformation. Support the growing use of cloud-based services or other next-generation technologies: Increasingly, cloud and software-based offerings such as software-defined networks are becoming the technologies used in companies of every size and vertical. The ease of management—including the ability to scale up or down as necessary and access to the latest version of applications and services—is pushing many organizations to adopt a software-first or cloud-based strategy for their new technology implementations. Increase employee productivity through new technologies and services: In addition to cloud and software-based technologies, a plethora of new offerings are making their way into the workplace to better enable employees to not only work faster, but smarter. Artificial intelligence, big data analytics and automation are some examples of such technologies. Improve customer satisfaction and loyalty: New-generation technologies help companies improve employee productivity and meet or exceed customer expectations, improving customer satisfaction and loyalty in the long term. Retain or gain a competitive edge over competitors: Companies that have undergone a digital transformation, embracing new technologies and adapting their processes to be more technology-centric, are those that are finding success over their slower, less agile competition. By the same token, companies that don’t adopt a digital transformation strategy will find itself struggling to keep up, much less succeed in today’s business environment. While every digital transformation rollout is different, with different technologies and processes depending on the company and its goals, at the heart of every undertaking is an infrastructure designed to help companies work smarter, faster and more efficiently. That includes technologies that streamline processes, improve productivity and enhance the customer experience. Cloud computing—be it public, private or hybrid—is an important element in any network supporting a digitally transformed company. More than half (53 percent) of respondents in the IDG survey have implemented a private cloud, while 45 percent have implemented public clouds. 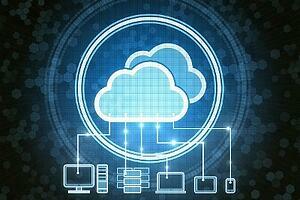 The benefits of cloud environments are numerous and well-known. Flexibility, scalability, agility and cost efficiencies are some of the more obvious benefits that draw companies to cloud services. In digital transformation, the cloud provides a secure environment in which companies can continuously innovate—such as with DevOps—and collaborate—such as with disparate teams and locations. Companies that have embraced digital transformation understand the power SDN can provide in creating and supporting a digital-first strategy. Indeed, almost half of respondents to IDG’s survey said they are piloting or researching SDN, or it is on their radar, to implement within the next 12 months. Mobile technology, too, is a major driver in digital transformation—and for many companies is the major disruptor forcing a change in business strategy. IDG’s survey notes 59 percent of respondents have already adopted mobile technology in their business. As the number of mobile users and the number of enterprise-ready mobile apps continue to rise, companies must include mobile as part of their ongoing business strategy. Big data/analytics, noted by 59 percent of IDG survey respondents, and APIs, noted by 40 percent of respondents, make up the “Top 5” digital technologies already implemented. Both are integral in helping organizations make smarter business decisions faster. Obviously, digital transformation isn’t achieved simply by adopting cloud, SDN and mobile and other core technologies. As each organization’s digital transformation journey is different, the technologies used to enable digital transformation at each organization also will be different. Edge computing is a hallmark technology of companies that have adopted digital transformation, especially among those that rely heavily on the Internet of Things (IoT). The multitude of IoT devices on a network, each communicating with other devices and providing relevant data, will need response and processing in real time to provide true value to the organization. Edge computing has emerged as a way to make that happen, enabling companies to harness the power of data analytics for faster and more informed decision-making. Automation is helping many organizations become more agile by reducing the amount of time and energy employees must spend manually performing tasks. Digitally transformed companies can utilize automation in everything from marketing to IT services, freeing employees to spend their time on activities to further the business, such as finding new customers or promoting new products and services. Automation also can help organizations reduce downtime and increase the security of their networks and infrastructure through systematic, repeatable processes. Artificial intelligence, meanwhile, is swiftly emerging as a technology capable of serving organizations of all sizes in all markets. AI can be used for a wide range of activities, from determining more efficient business processes to creating personalized services based on user preferences and past behaviors. The benefits of AI are far-reaching, enabling companies to push into new markets, target new customers and create new products and services—all backed by a level of intelligence fomented by AI technologies. Many companies looking to harness the benefits of artificial intelligence also are turning to machine learning to help promote AI within their business strategy. Machine learning— providing data to machines to let them learn for themselves— is the current state of the art for artificial intelligence. Using machine learning, systems can “understand” whether customer comments on a company website or social media site are positive reviews or negative complaints—and respond appropriately—or can recommend additional items to purchase on a website based on a shopper’s buying habits, for example. Finally, the Internet of Things (IoT), already nearing ubiquity in the consumer space, is growing as an important driver for business intelligence. IoT devices are able to collect massive amounts of data from multiple sources to understand customer behaviors, track inventory in building and in transit, and provide insight into the way employees work, with the idea of developing better business processes. In IDG’s survey, 49 percent of IT decision-makers have included IoT in their digital business strategy. Digital transformation requires an infrastructure that is capable of supporting multiple technologies both on-premises and in the cloud and can manage the massive data storage and back-and-forth transport that many transformative technologies require. In a digital transformation world, “smarter” plays a leading role—technologies are enabling businesses to move at light speed and be smarter in meeting evolving customer expectations. Organizations, therefore, need an environment that supports digital transformation from every point on the network. Hybrid cloud and network environments, SD-WAN and high-speed broadband are just some of the technologies that can enable companies to better manage their business applications across all locations, while networking components such as WiFi and unified communications can ensure employees can work anytime, anywhere, with no impact on productivity. Digital transformation won’t—or can’t—happen overnight. 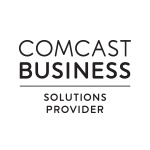 To help organizations on their journey to digital transformation without overly stressing their current network and to streamline processes for IT managers during and after the digital transformation, managed services can help tie disparate systems together and “fill in the gaps” as companies update their current infrastructure and after networks have been upgraded. In today’s fast-paced business environment, companies can’t afford to maintain their status quo. To remain competitive and thrive, organizations must transform before their competitors gain the advantage. Digital transformation is imperative for survival in today’s economy, as processes and applications become more digital-centric. For many companies, what started as digital initiatives with social, mobile, analytics and cloud has evolved a digital transformation journey in which digital drives business and new technologies drive new opportunities. At the heart of every undertaking is an infrastructure designed to help companies work smarter, faster and more efficiently. That includes technologies that streamline processes, improve productivity and enhance the customer experience—all with the end goal of creating a more efficient and customer-focused organization that moves beyond fast.